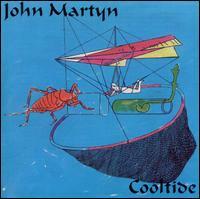 After releasing the much-delayed The Apprentice, Martyn was once again on a roll, and, while not quite as strong as The Apprentice, Cooltide was a solid outing. His jazziest release yet, it's marred slightly by a gravely hoarseness in his voice, which makes him sound like he's just recovered from laryngitis. "Jack the Lad" was the single released, and, along with "Annie Says" and the aching "Call Me," they show him entering the 1990s in fine form. The title song had a long gestation, originally recorded for 1979's Grace and Danger under the title "Running up the Harbour." While a bit long, it's a great hypnotic, groove-oriented track that's smooth and cool, with Martyn venturing a little further a field than he had in quite a while. Released on 9th September 1991. This album was more characteristic of John's style and the synthesizers were less evident. All John's trade marks are present, strangled duck vocals, subdued beat with excellent instrumentation. Tremendous bass lines featured through Jack The Lad, the up tempo The Cure and the atmospheric title track. An early insight in to the development of this track was later to be released on the Live At Bristol 1991 album. Father Time is a jazz orientated track and different from the other tracks on the album in that respect. Emotion and heartfelt vocals are particularly evident on Call Me. An album which many fans return to on a regular basis. John toured during September and October. Jack the Lad was released as a cd single with a remix of the same song as track 2 called Jack Sez and Annie Says as a third track.